Hi my friends. As most of you know I’m the Chair of the Central Alberta Child Advocacy Center and we’ve been running a Home Lottery Campaign. We’ve had to extend the draw because we have to sell quite a few more tickets. The support from the community has been great but we have to do more. I’m looking for 100 people to volunteer this coming Thursday night to go door to door and sell tickets. If you or possibly some of your staff or co workers would be able to help out, that would be awesome. We are going to meet at the Sheraton Hotel at 5:30 pm on Thursday March 21 in the Palermo Room to get credentials, information and ticket forms. More information when I get a list of people. There will be some prizes for most sold etc. Since it opened 16 months ago, the Central Alberta Child Advocacy Centre has served over 440 children from more than 50 different communities. The Child Advocacy Centre is raising funds to build a facility specifically for their purpose of bringing healing to the lives of children who have been abused. Support from all these communities will be critical. The Advocacy Centre “must” sell more tickets! If you’ve already made your purchase you can still help. Make sure your friends and loved ones know about this lottery. Please do your best to spread the news to your contacts in Edmonton and Calgary and around the province. 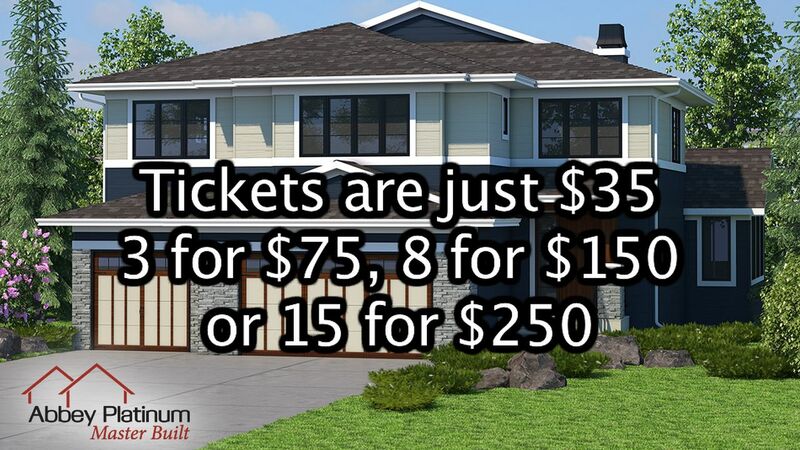 So many people would love a chance to own a new home for just $35 dollars.